2017 was a good year for the Ford Escape. The 2018 Ford Escape will be just as impressive with only several small revisions. These changes include a revamped front end along with a several interior updates that appeal to customers. Consumers can choose from three engines as well. The base engine offers 2.5-liter, 169hp, and 170 lb-ft of torque. An additional option includes a 1.5-liter EcoBoost that delivers 170hp and 177 lb-ft of towing power. The third option provides 245hp and 275 lb-ft of torque. 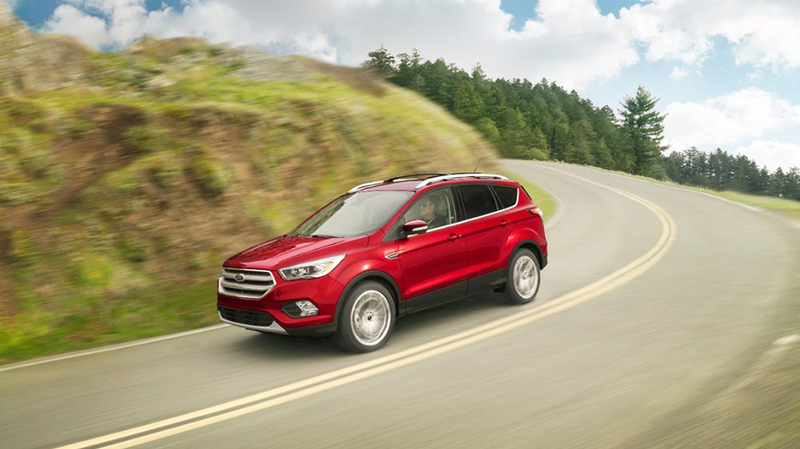 Ford Escape owners can rest assured their Escape will enable them to reach any destination in with ease. Owners can also look forward to those weekend vacations where a light motorhome or boat in tow is necessary for the trip. Owners can expect to achieve from 20 mpg in the city, to 30 mpg on the highway with their model. 2018 Ford Escape models include the Ford Escape S, Ford Escape SE, Ford Escape SEL, and Ford Escape Titanium. There is no doubt that the 2018 Ford Escape is a smart SUV. Manufacturers designed the vehicle to make driving a lot easier. Several notable features include the Safe and Smart Package, SYNC 3 along with FordPass, BLIS. This is its Blind Spot Information System. Cross-Traffic Alert, Adaptive Cruise Control, Forward Collision Warning, Park Assist, and Lane-Keeping System also top the list. These features add additional safety elements to keep drivers and passengers safe. Additional safety features include 4-wheel anti-lock brakes, side-mounted and driver knee airbags along with traditionally placed airbags, airbag occupancy sensing, air conditioning, cruise control, and AdvanceTrac w/Roll Stability Control. Why Purchase the 2018 Ford Escape? Consumers looking for a sporty handling SUV with a premium interior, exterior, power lift gate, and state-of-the art safety features can find everything they need in the 2018 Ford Escape. The 2018 Ford Escape is a crowd pleaser. Owners like its precise steering where only the slightest turn of the wheel inspires a vehicle reaction. Drivers and occupants also have access to its state-of-the art infotainment system, which allows them to stay connected to their social media or business world on the go. Wi-Fi hotspot is also included and can accommodate up to 10 separate devices at the same time. There is no lack for cargo space. The vehicle’s seats fold down and can provide 1,925 litres of cargo room. Access to the trunk is also a lot easier with its hands-free power lift gate. Owners or passengers can simply swipe their feet under the rear bumper while holding packages. Without an SUV, it is difficult to transport a large family. SUVs, by their weight and size, are safer than most vehicles. SUVs are an added bonus as well for individuals or families that love motorcycles, boats, fishing, camping, horses, or even shopping for antiques. Some SUVs even allow owners to add a towing kit to their car. Why tow with a car when an SUV covers all the bases? Anyone interested in learning more about the 2018 Ford Escape can always call their dealership and arrange for a test drive to experience its amenities first hand.